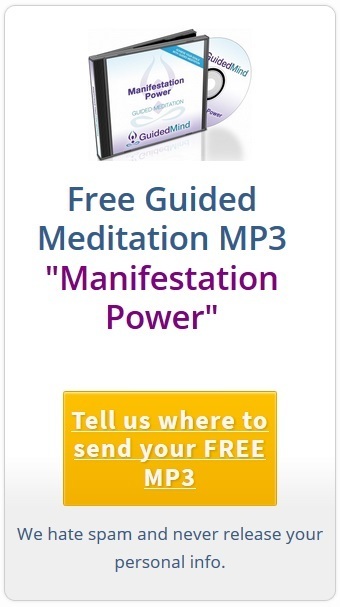 We’ve got an amazing competition for you today where you can win a Sandisk MP3 Player preloaded with every single one of our guided meditation cd and mp3 albums we have so far on the site all, and 31 Albums that have not been released yet! All you have to do to enter is share your experience/story/results with any of our meditation sessions with us and send it to us at this email address suppport@guidedmind.com. When you send your story attach a picture of yourself so that we can share you experience on the site as a story/testimonial. If we can use your story on our website as a success story/testimonial then we will enter you into the drawing. We're doing this really quickly, so please send your stories, and we will pick 3 winners at random on Thursday 22nd May 2014.
and as an EXTRA BONUS - everyone who submits a story that we can use, you can pick any one of our albums and we will send you a download link for free. This really is an amazing prize for anybody who is looking to change their life in some way, whether it be to lose weight, make the law of attraction work for you or overcome a phobia. You’ll have 146 albums all ready to listen to on the Sandisk Mp3 Player.